Biblical Paphos, also called “Nea Paphos” or “New Paphos,” was founded around 320 BC by Nikokles, the city’s last Greek king. 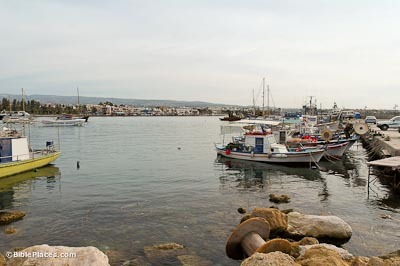 Paphos served as the island’s capital until the Byzantine period, when it was moved to Salamis. During the Ptolemaic period (ca. 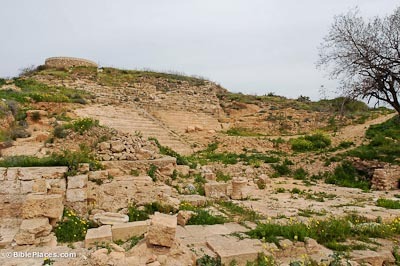 300-58 BC) New Paphos was a significant port city. The Romans seized control of Cyprus in 58 BC and incorporated it into the province of Cilicia. In 30 BC, it was made a separate Roman province ruled by a Roman military governor, and in 22 BC, it became a senatorial province ruled by a proconsul. The proconsul of the island when Paul visited (about AD 47) was a man named Sergius Paulus (Acts 13:7). “When [Barnabas and Paul] had gone through the whole island as far as Paphos, they came upon a certain magician, a Jewish false prophet named Bar-Jesus. He was with the proconsul, Sergius Paulus, a man of intelligence, who summoned Barnabas and Saul and sought to hear the word of God. But Elymas the magician (for that is the meaning of his name) opposed them, seeking to turn the proconsul away from the faith…Then the proconsul believed, when he saw what had occurred, for he was astonished at the teaching of the Lord. 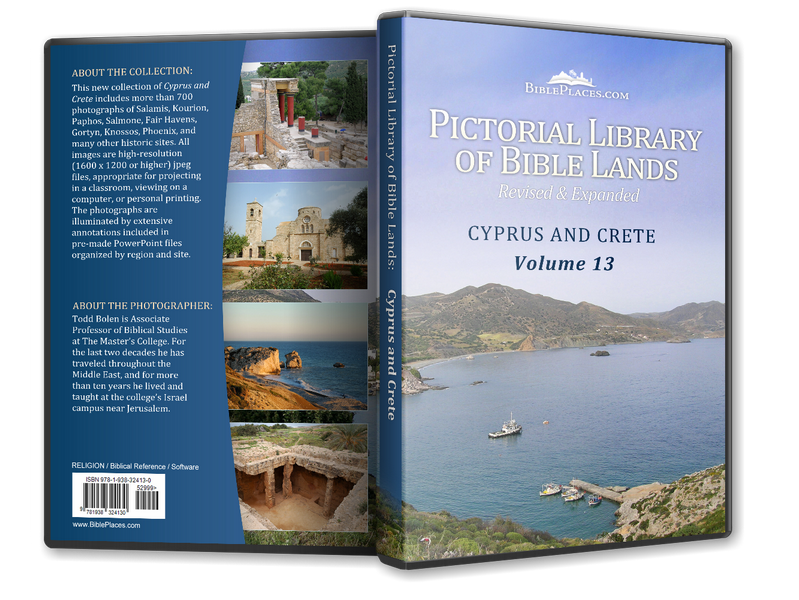 Now Paul and his companions set sail from Paphos and came to Perga in Pamphylia” (Acts 13:6–8, 12-13, ESV). 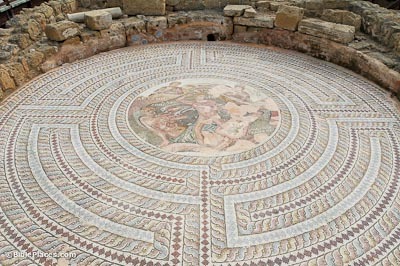 Roman villas with exquisite mosaic floors have been excavated at Paphos. The Villa of Theseus, a palatial house, gets its name from a mosaic depiction of Theseus and the Minotaur. 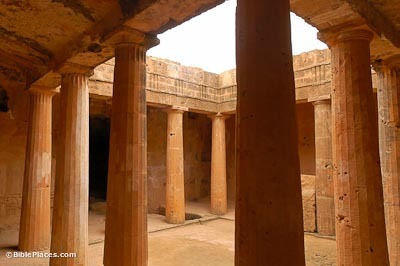 It was built in the 2nd century AD, and is the largest residential building on the island of Cyprus, measuring 360 feet (112 m) by 250 feet (78 m). Since its discovery in 1966, the Villa of Theseus has been excavated by the Polish Archaeological Mission. North of the city, the “Tombs of the Kings” belonged to the city’s upper class during the Hellenistic and early Roman periods. The tombs are cut into the rock and sometimes were designed to look like houses. It was common for offerings to be buried in the tombs with the deceased. These included small jugs called Rhodian amphorae which archaeologists used to date the tombs.